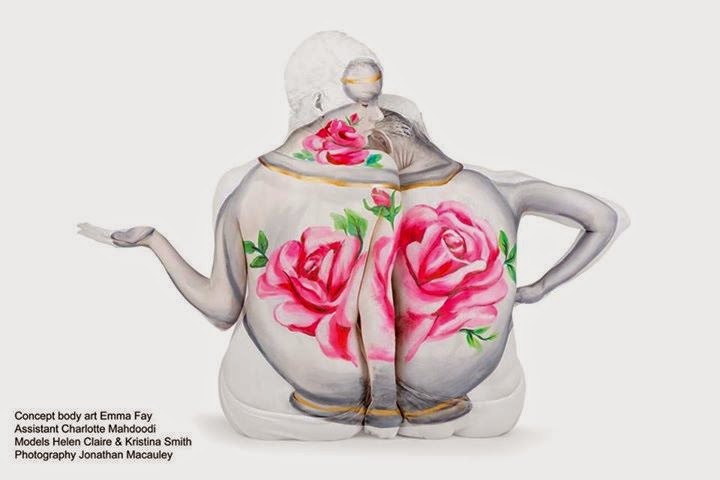 Emma Fay defines herself as a Conceptual Body Artist, creating these incredible paintings on people's bodies. 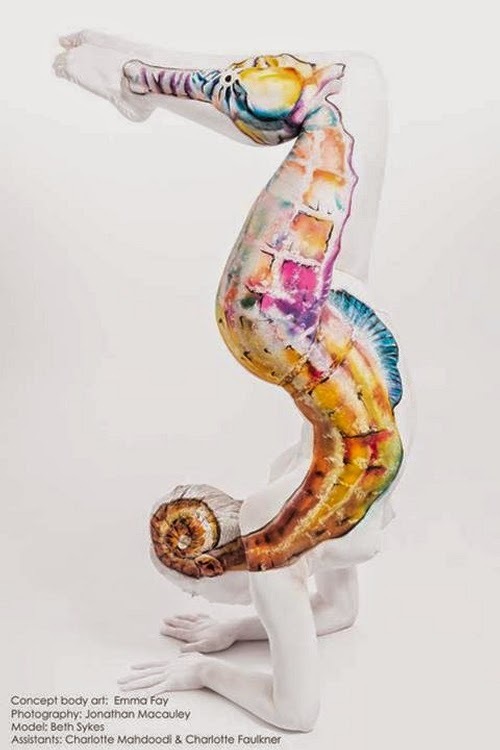 Our fascination is in seeing the various techniques she uses to bring to life the forms and shapes of the items or animals she is representing. 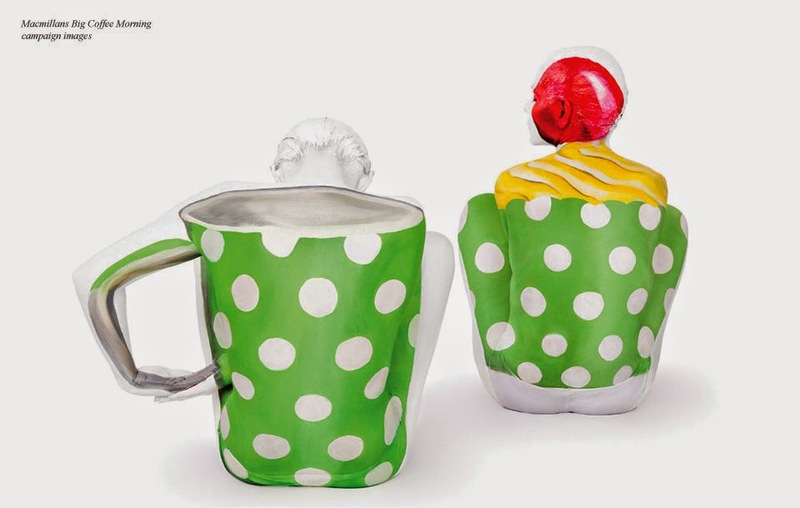 For example in the Teapot below she uses to people to achieve the shape and four in the Octopus. 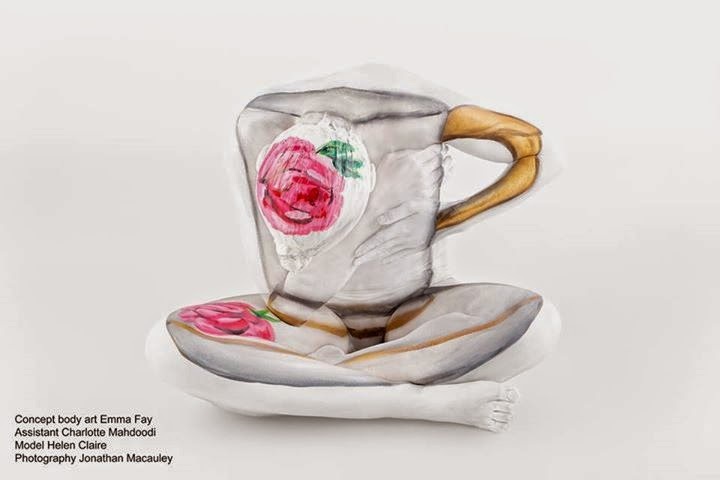 Another trick Fay uses is, the use of colour of her backgrounds to make parts of the body disappear, by painting them the same colour (white on white backgrounds and black on black backgrounds). 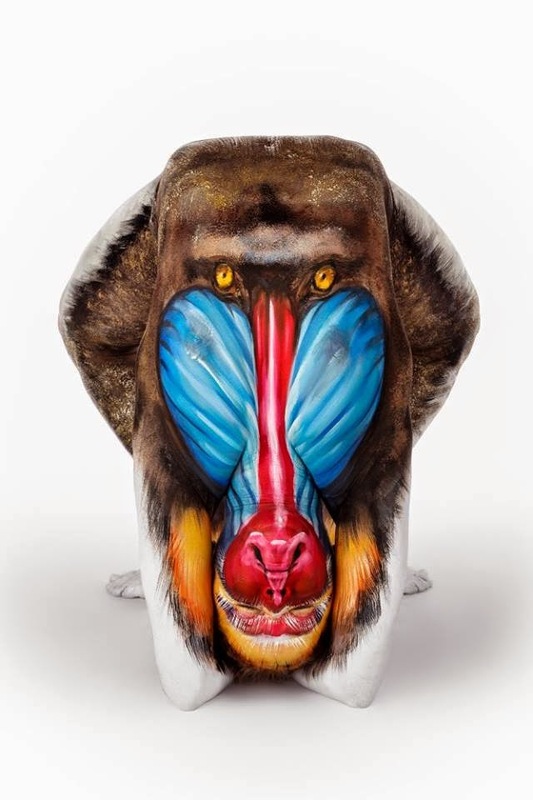 This type of art has varied commercial applications, the biggest being the advertising world where it is immortalised in one of their advertising campaigns. 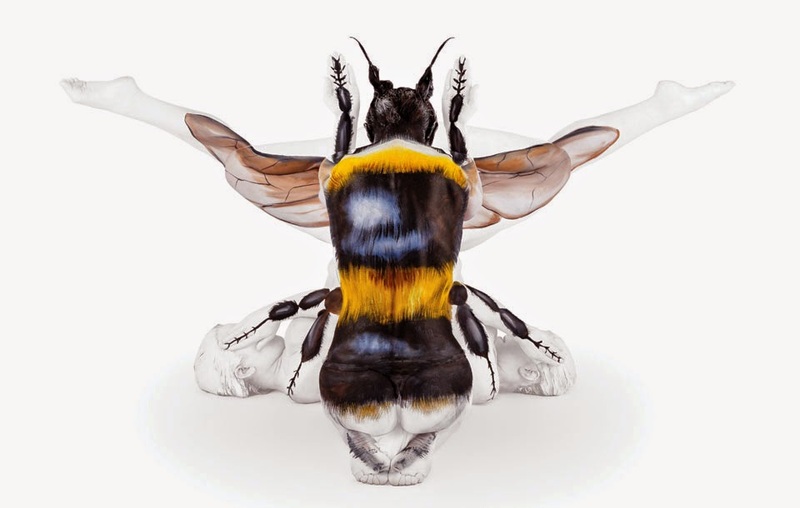 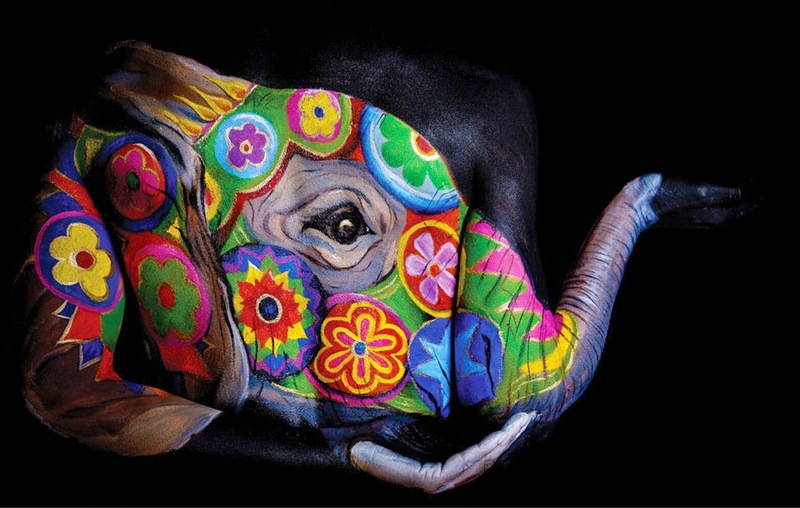 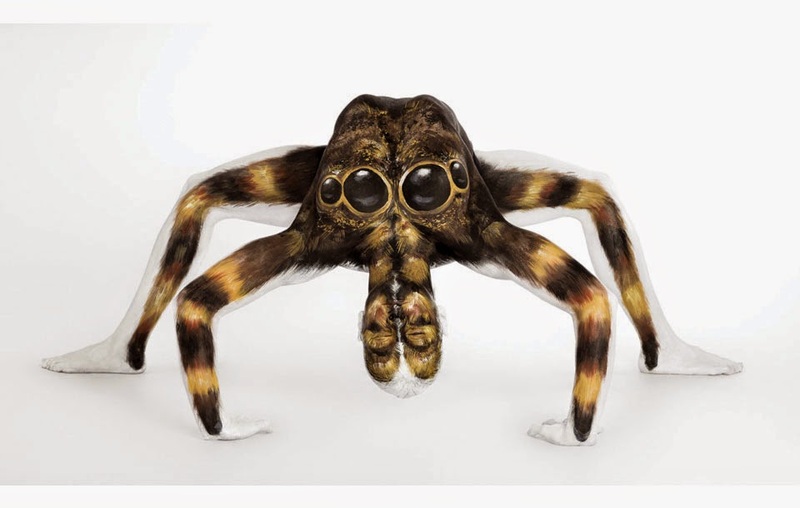 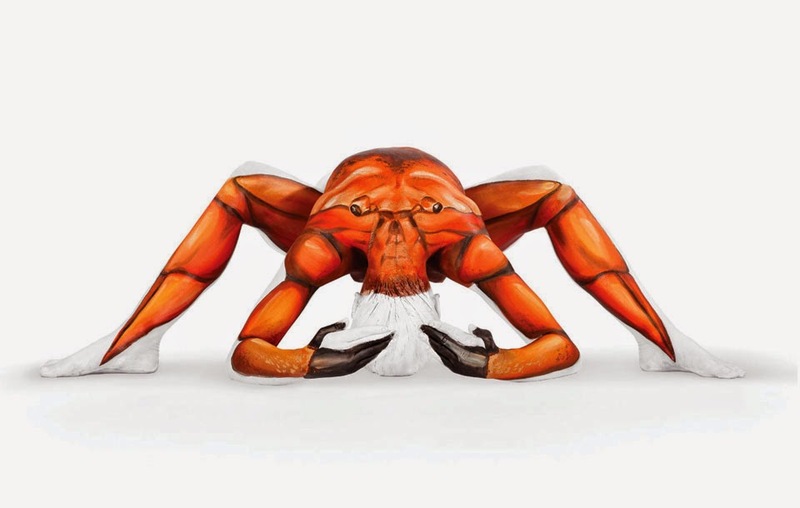 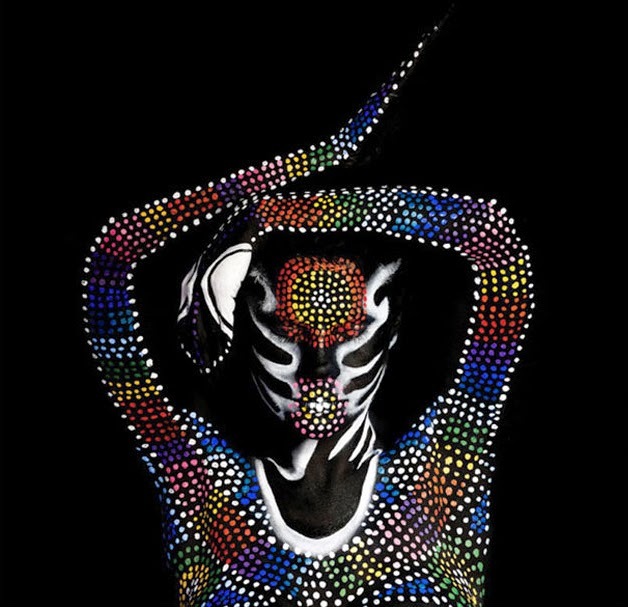 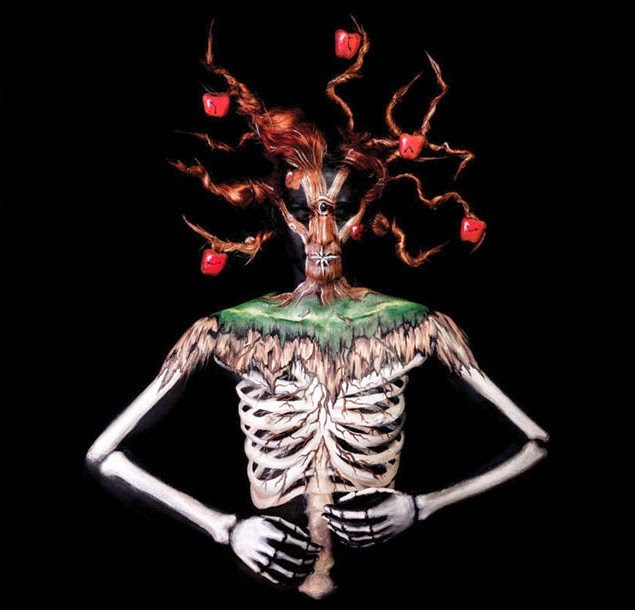 See our previous Post on Emma Fay here Body Painting Art. 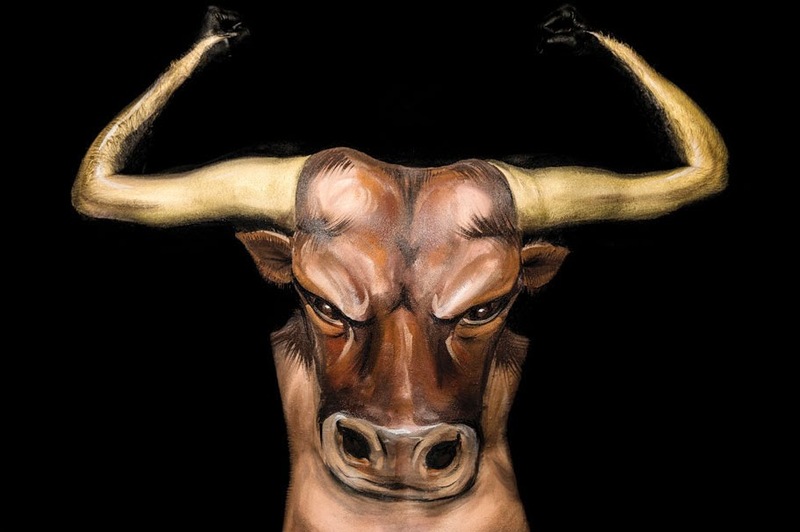 Minotaur - (From Greek mythology, it is a creature with the body of a human & the head of a bull and resided at the centre of the labyrinth - If you want to know more check wikipedia).